Rob Daake, P.E. practices in the Public Finance section in the Dallas office. He represents clients in commercial real estate, planning, zoning and subdivision matters, condemnation of land, construction law for both private and government entities, business organization and transactional matters. Rob focuses his practice primarily on Public Finance, Real Estate law and Construction law. His practice includes the creation and administration of special purpose districts throughout Texas, particularly in the Dallas/Fort Worth area. Additionally, he represents the development community in all facets of creating exceptional residential and commercial projects. His practice involves representing clients before various governmental entities, including: Texas Commission on Environmental Quality, municipalities, counties, and various regional service providers. Prior to joining the Firm, Rob served in a number of executive roles for a local, rapidly growing municipality primarily focused on land development issues. Additionally, he practiced civil engineering for 18 years for a variety of public and private clients and retains his licensure as a Texas Professional Engineer. Rob graduated from Iowa State University in 1999 with a Bachelor of Science in Civil Engineering. He practiced as a consulting engineer on a wide variety of projects for private and public entities. 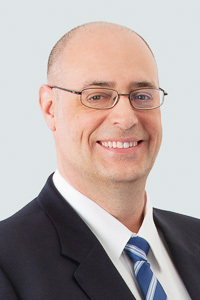 Rob later held a number of executive positions at a rapidly growing metroplex municipality primarily related to furthering land and economic development within the community. Rob earned his Juris Doctorate from Texas A&M College of Law in 2017 with a particular focus on land use and construction law.